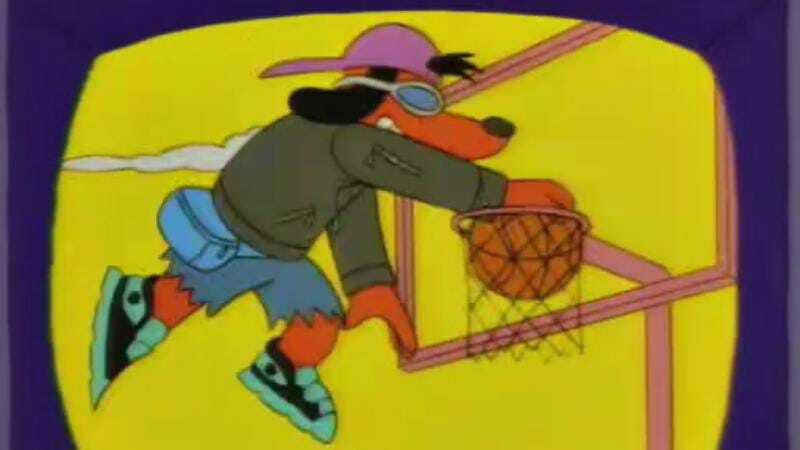 Poochie only starred in one episode of The Simpsons, but the “Kung-Fu hippie from Gangster City” that’s “half Joe Camel and a third Fonzarelli” has gone down as one of the sharpest bits of showbiz satire since “The Itchy & Scratchy & Poochie Show” first aired 20 years ago. In that episode, we see a few Springfield residents audition for the part, including Otto and Troy McClure (who famously touts his appearance in both “Christmas Ape” and “Christmas Ape Goes to Summer Camp”). The role eventually goes to Homer, but it turns out there was a whole slate of auditions we never got to see. This revelation comes courtesy of writer Josh Weinstein, a Simpsons showrunner at the time, who just shared a page detailing the deleted auditions on his Twitter account. Meanwhile, waiting in the wings are Jasper, Krusty’s monkey Mr. Teeny, and Patti and Selma, who might be the most incongruous addition. Did Sideshow Bob teach them nothing about the perils of show business?